The 2014 Body Shop Limited Edition Black Friday Tote Bag, a $125 value for only $30, is packed with 9 merry must-haves that make up the perfect gift – for yourself or a friend. Offering a variety of bath, body & skin care products, this $125 value is yours for only $30 with any $30 purchase. 2 for $15 Body Shop Gift Cubes and Tubes! $25 Small Satsuma Gift Set, Plus Free Shipping! Enjoy the zesty scent of satsuma from top to toe with this pampering box set. With Community Fair Trade shea butter from Ghana. 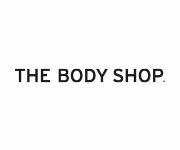 Limited time sale at The Body Shop! Buy 3 get 2 FREE sitewide!! $25 Holiday Makeup Brush Roll ($50 value) with any $30 Purchase (and Free Shipping). Valid 11/3-11/30. The Body Shop’s most popular brushes come together in this blush blending, shimmer sweeping, utterly unique & stylish makeup brush set. The soft, synthetic fibers distribute just the right amount of pigment for a perfect result every time. This set includes a stylish black pouch to keep the brushes clean and organized.